This Osprey Exos 58 pack review is about an ultra-lightweight backpack with 1.2 kg weight, suitable for weekend and multi-day backpacking and mountaineering tours. Removable lid, and FlapJacket top cover. Note, there is a new 2018 version of this pack. The summary of changes is given here. This pack is with a rather minimalist design, all is done to reduce the weight. 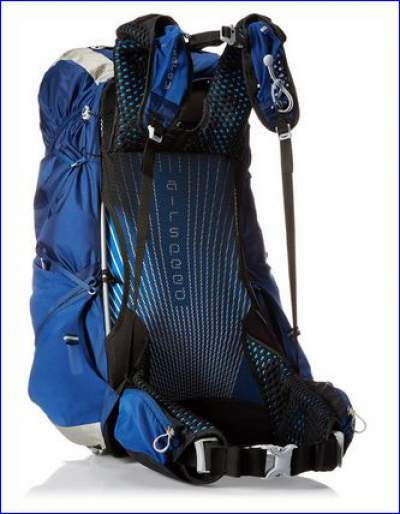 It is built in three different sizes, S (55 liters), M (58 liters), and L (61 liters), all in the range 2 lb 8 oz – 2 lb 12 oz. This is a top loading tool, with the floating and removable lid. So you have a traditional high spindrift collar on the top. In the case of removed lid, you have Osprey’s FlapJacket top cover to close the pack. It is equipped with buckles to close the pack properly instead of the lid. So this is the only access to the pack, you do not have a bottom compartment or any other front access. This is not so great for the pack of this size. On the bottom you have one attachment loop, the old version had two of them. Here you also have one compression strap for sleeping pad with a quite unique design, different from what you can see in other packs. You also have a few tiny attachment loops on the bottom and on the front of the pack, and also on the top of the lid. 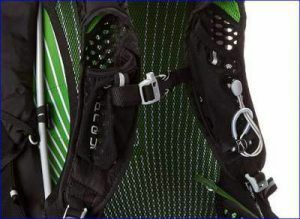 The usual Osprey’s Stow-on-the-Go attachment tool is on the shoulder strap as well. Suspension system with trampoline mesh. The central part of its suspension is the trampoline type tensioned mesh, which you can see in the picture. This is the best possible system when it is about ventilation. It is used in many packs of Deuter and Gregory as well. The mesh is completely separated from the back of the pack. I own a pack with such a mesh system and know how great ventilation you have with it. This is supported by a peripheral aluminum frame, visible in the picture. This back structure is accompanied with an enormously pleasant Osprey’s ExoForm mesh throughout the hip belt and shoulder straps. It is very cleverly designed to provide a lot of breathability and to avoid any hot spots in the structure. There is one zippered external pocket on the lid. Another mesh zippered pocket is on the underside of the lid. Inside the main compartment, you have an internal pocket for a hydration bladder. A huge stretchy mesh pocket with buckle is on the front of the pack, you can see it in the first picture above. Dual stretchy mesh pockets are on the sides of the pack, with top and side entrance for a water bottle. The pockets are with inside-out straps, so you can use them in various ways, either to cinch the pack or to secure the load in the pockets. These side straps are rather tiny, and they are completely removable. Dual zippered hip belt pockets are available as well. Another pair of pockets is on the shoulder straps, each has one, nicely designed small packs for small tools, see the picture below. Shoulder harness with pockets, emergency whistle, and Stow-on-the-Go attachment system. – S: 2 lb 8 oz (1.13 kg). – M: 2 lb 10 oz (1.19 kg). – L: 2 lb 12 oz (1.25 kg). Max. dimensions (L x W x D): 76 x 35 x 35 cm (M). – S: 3356 cubic inches (55 L). – M: 3539 cubic inches (58 L). – L: 3722 cubic inches (61 L). – S: 16 – 18 inches (41 – 46 cm). – L: 21 – 23 inches (53 – 58 cm). – S: < 31 inches (79 cm). – M: 30 – 34 inches (76 – 86 cm). – L: 33+ inches (84 cm). AirSpeed trampoline suspended mesh back system. ExoForm mesh hip belt and harness. FlapJacket top cover for use without the lid. Osprey’s All Mighty Guarantee applies here. No bottom sleeping bag compartment. Great back ventilation and tensioned mesh system. The pack lacks a few features which are of importance for me, this explains such a small weight. I must say that it looks too small to me for a pack with such a declared volume. Exos 58 has received incredibly high rates by Amazon customers, with a 4.8/5 average rate. To conclude this Osprey Exos 58 pack review, this is a quality pack, nothing less one can expect from Osprey. But it is designed to be an ultra-lightweight pack and as a result of this, it lacks some features that are either essential for some people, or that are good to have in general. This is all the matter of preference and purpose of the pack. 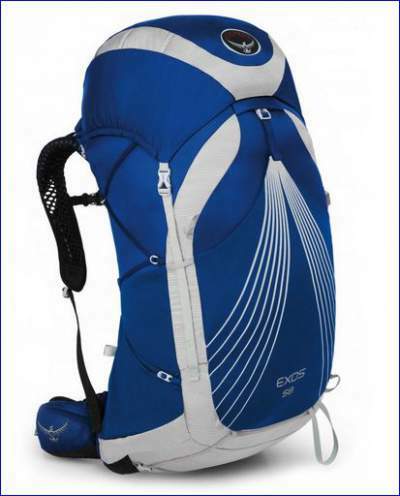 If you need a smaller pack from the same series, please see this Exos 48 liters version, and Exos 38 liters. Yet if the weight is your main concern, then this is the pack for you. 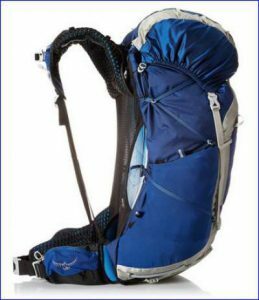 But it is good to remember there are even lighter models available, like Granite Gear Crown 60 pack which is below 1 kg of weight. You might want to compare this pack also with Gregory Cairn 58, with exactly the same volume, but with far more features. Thank you for reading, if the text is useful to you perhaps it might be useful to others as well, so please share it. It will be great to hear from you, there is a comment box below. Have a nice day.